A follow-up from our previous post CTN Animation Expo 2017. Marc and I had a great time at this year's CTN Animation Expo in Burbank, CA. It was exciting to meet some incredibly talented animators and see what studios are doing to push animation forward. I had the opportunity to meet Tom Bancroft of Tom Bancroft Studio. Tom has 25 years of animation experience much of which was for Walt Disney Animation Studios. Marc and I grew as fans listening to his animation podcast featuring the two Bancroft brothers, Tom and Tony. Aaron Blaise and Nick Burch of Creature Art Teacher held an insightful panel focusing on the "how-to's" of animation and digital painting through his informative video lessons and digital brush downloads. Aaron demonstrated drawing a lion to explain how he approaches completing a digital illustration in Photoshop from start to finish. 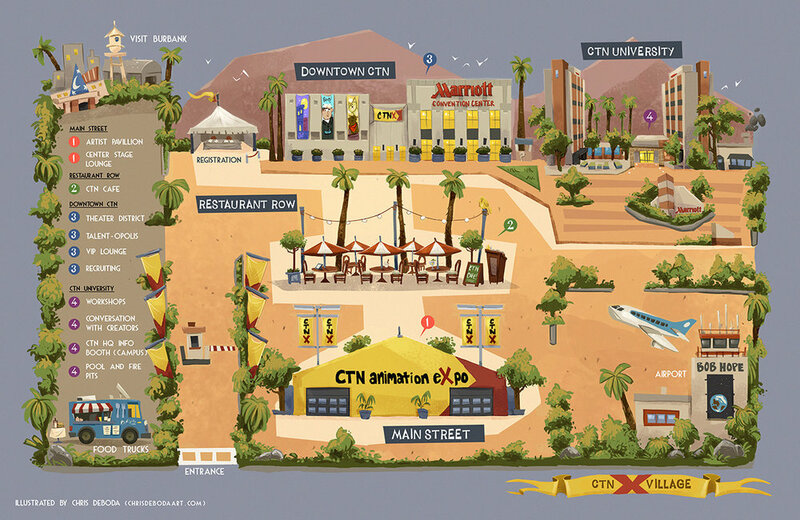 It was great to meet the other studios and animators in the industry and we're looking forward to next year's CTN Animation Expo.